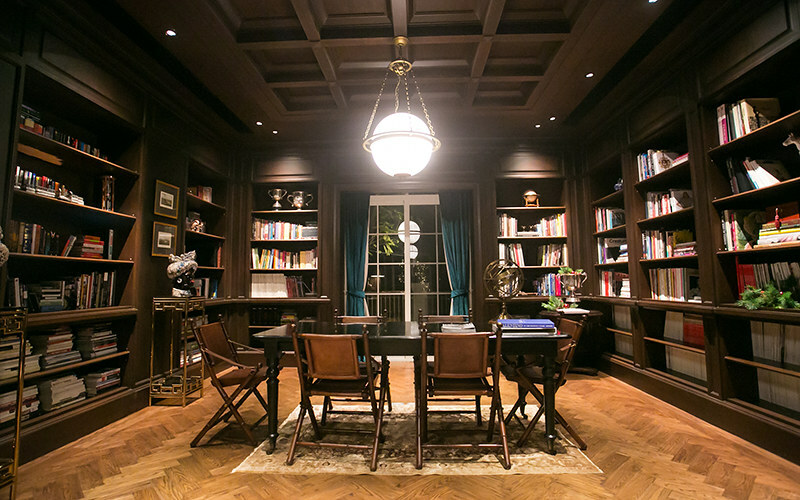 Danai and Disaya Sorakraikitikul’s dream home on the outskirts of town is a palatial European-style affair, every nook of which reflects their mutual tastes and many years together. That fashion business magnates and life partners Danai and Disaya Sorakraikitikul practically live out of their suitcases is an open secret. With mandatory business trips filling their calendar, especially since the prestigious German camera brand Leica was added to A-List Corporate’s portfolio of luxury brands, their lifestyle demands it. Given their busy schedule, their home is where they try to take off their executive hats and live life slower—much slower. 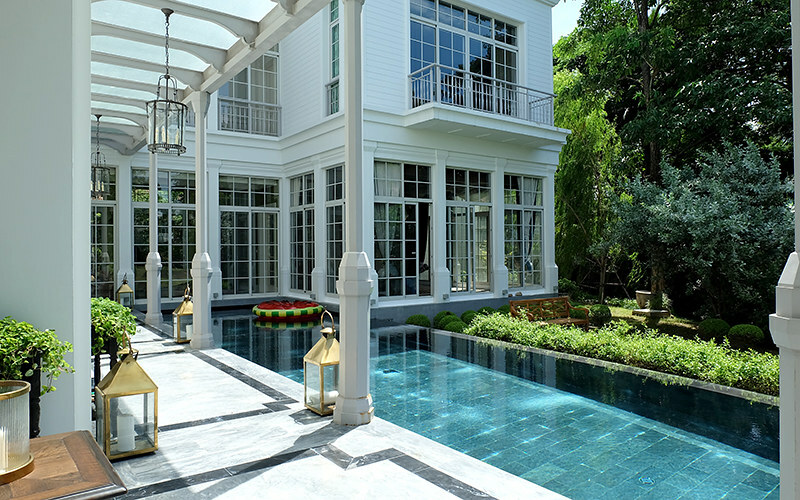 Almost a year ago, the couple and their nine-year-old daughter Nathasorn moved from their Thonglor address to a more tranquil, secluded and stately one. Some of you may have already caught a glimpse of it in the recent Disaya Culture video that recently went viral, wherein a cheekily rebellious model clad in Disaya clothes lies coquettishly across a dining table, skips down a staircase and makes a derisory attempt at playing the piano. 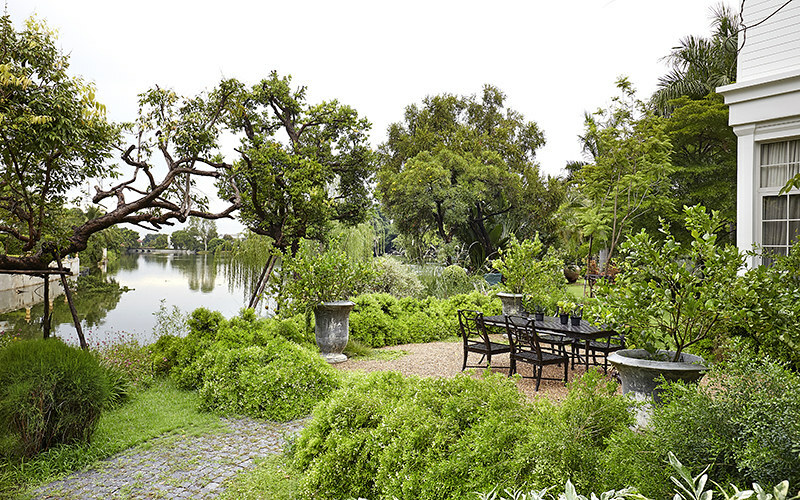 Occupying over one rai of land—or over 4,000 square metres—this imposing estate designed by Chananun Theeravanvilai and Pornsiri Songkakul comes full of European-style quirks. 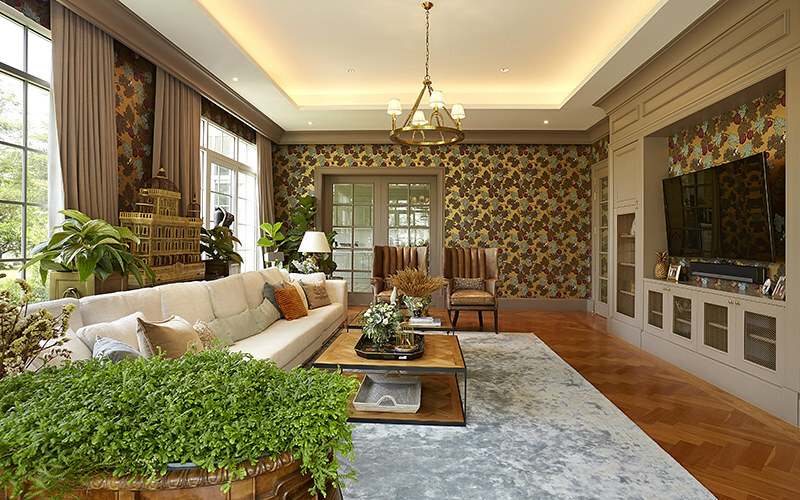 “In comparison with our Thonglor quarter, the d้cor here is more timeless, with richer details that better reflect our personalities,” explains Disaya. 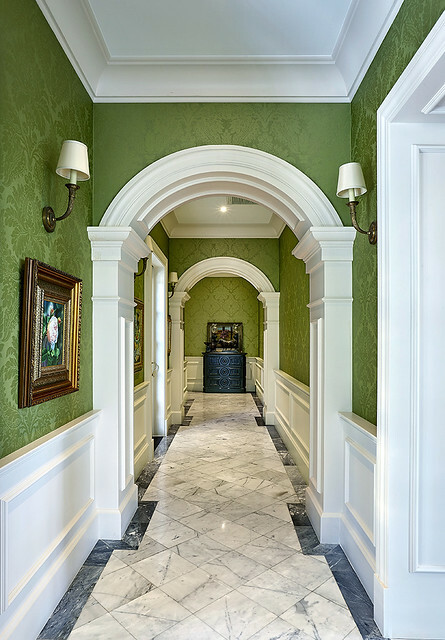 Upon entering, a charming foyer that reaches up to the second floor’s ceiling greets us. Our eyes instantly fall on a grand antique, black and white photograph of His Majesty King Bhumibol Adulyadej. It is a proud purchase that Danai finally found the perfect place for after keeping it for 10 years. 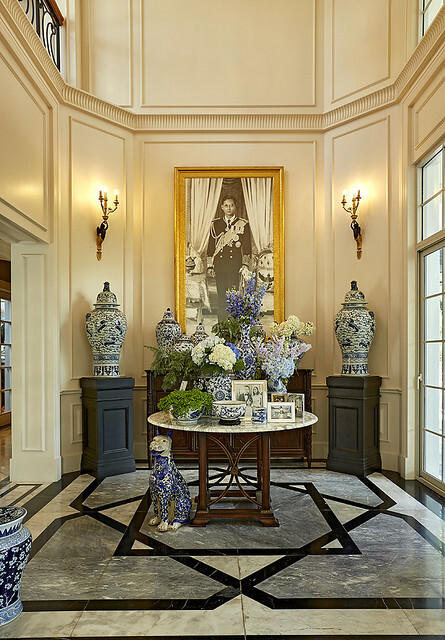 The picture is simply framed in gold, and surrounded by elegant blue and white porcelain. At the other end of the house, a majestic dining room draws you in. An extensive, 100-year-old maple wood table sits at the centre, surrounded by countless bird prints from the influential 19th-century American naturalist John James Audubon’s seminal book The Birds of America. 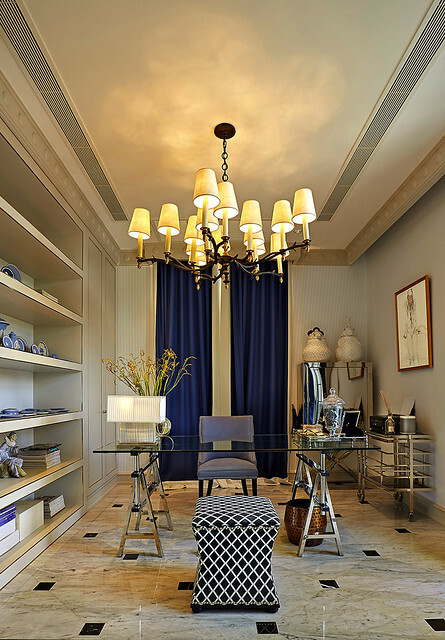 “It took us a while to finalise this room. At one point we thought about painting an orange field across the walls while also growing orange trees in our garden—but we figured that would just take the theme to the extreme,” Danai says laughing. “Then I came across these illustrations. The first one I bought was the vivid pink flamingo, and gathering the rest of the series took me three years.” The room, however, is mostly used during special occasions, such as Christmas or New Year, when they host large gatherings. A few steps away is Danai’s most often visited corner—his wine cellar. 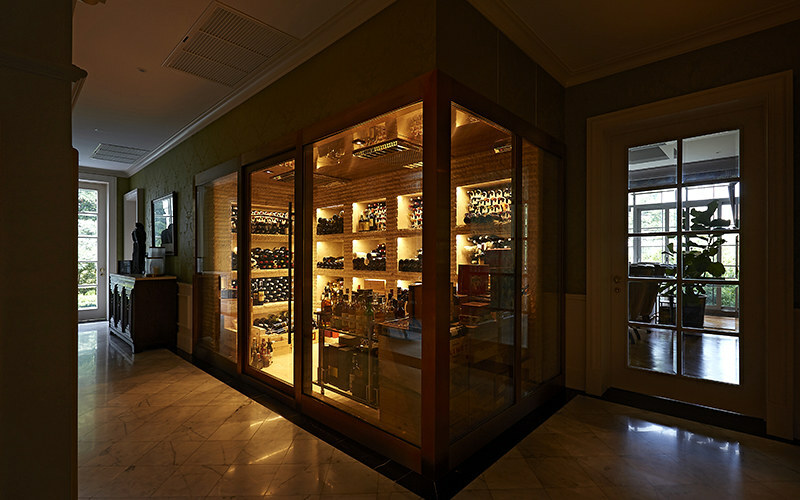 He’s quite the wine lover, with an impressive collection stowed alongside arrays of liquor and cigars. On the right is a sizeable kitchen, which Disaya and daughter Nathasorn like to make use of by baking treats every once in a while. 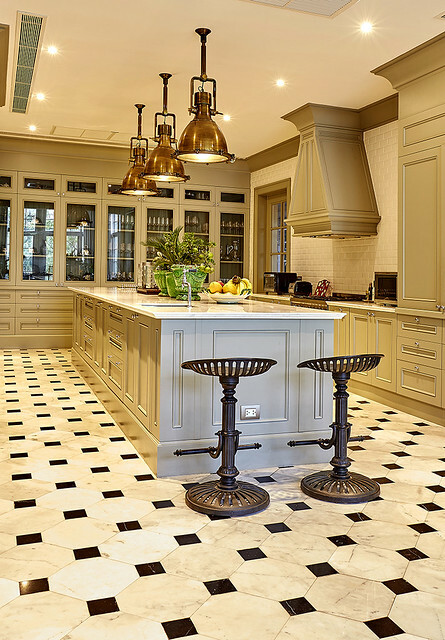 The built-in cooking space features soft shades of green and white, as well as a trio of rustic, gold pendant lights that hang from the centre, creating a soothing vintage feel. 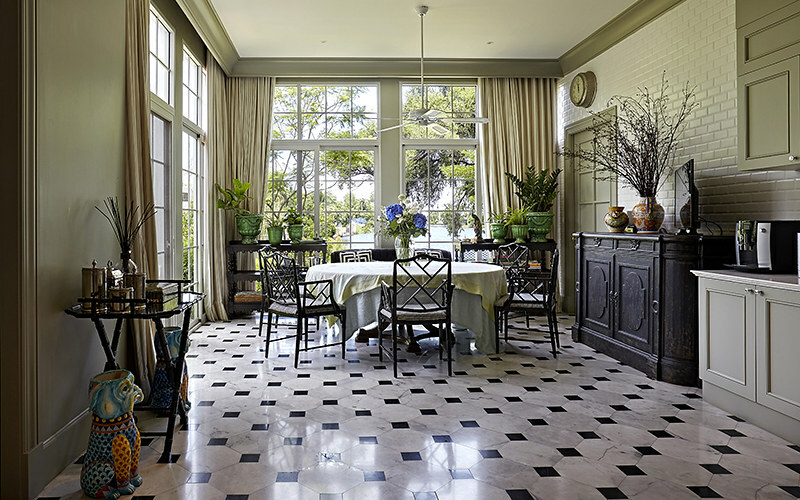 A rather humble dining area sits on the far end by the window, overlooking the lush green of their spacious garden, where they like to take their golden-doodle dog, Buttercup, for walks. “This is where we usually dine,” explains Disaya. Just next door is a cosy living room, which is mostly used by Nathasorn when she has friends over or when she sits down for some art time with mum. As with some of the other areas in the house, the walls are covered in gorgeous wallpaper the couple handpicked from Chelsea Design Centre. By the lounging area of Disaya’s study is a door that leads to Danai’s space. “I’m like his front desk secretary,” she jokes. Stepping inside, the room strikes you as a complete contrast. 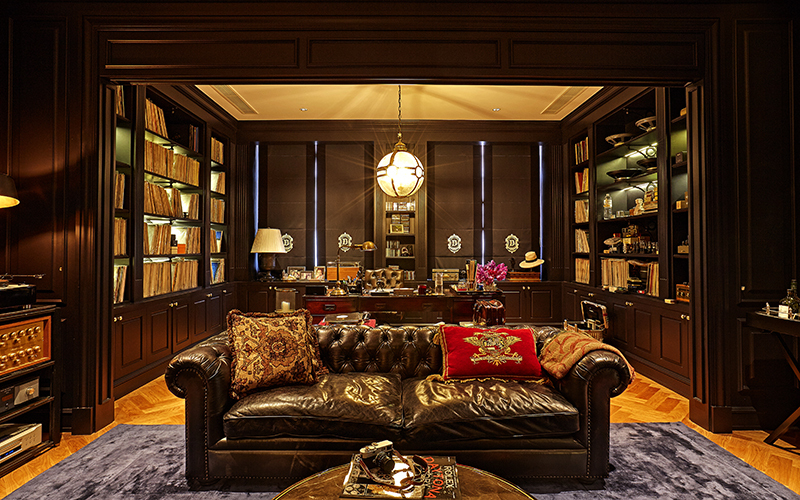 Echoing this dapper gent’s personality and leisure pursuits, this dimly lit room is where he works hard then unwinds. Over 1,000 pieces of vinyl—mostly jazz and classical—occupy the black built-in shelves. 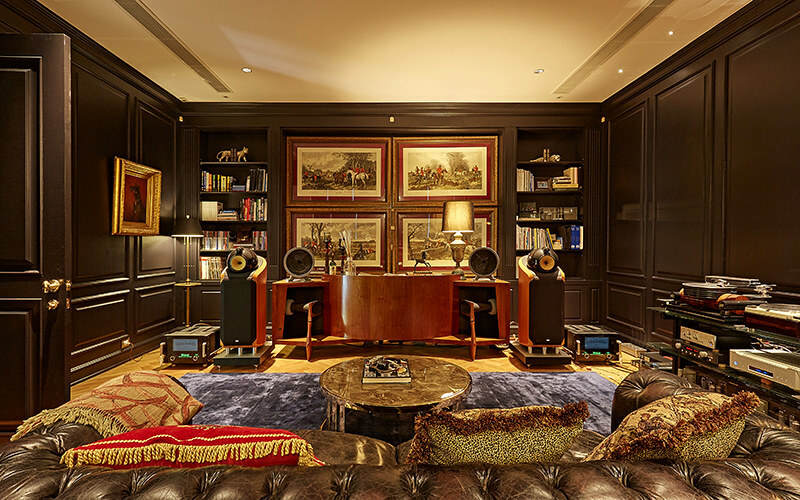 A black leather sofa sits in the middle of this opulent man-cave, surrounded by some of the audiophile’s prized collection of record players and speakers, such as the limited edition Anna Log turntable by Nottingham Analogue and the iconic JBL Paragon one-piece stereo loudspeaker, which was given to him as a gift from his father-in-law. A few vintage Leica cameras are also scattered around the room. “I have so many distractions here if I don’t have to work,” he says. Danai believes it’s important for a home to reflect the owners if it’s to be truly beautiful. “I think that is also when a house truly looks and feels cosy,” adds Disaya. They both agree that even the smallest details, from the wallpaper to the drinking glasses, define them. “Every corner has its own story. The art pieces and furnishings are from trips we went on together. The framed photographs are ones we picked as being meaningful to us. So essentially, every single item takes us back to good memories,” says Disaya. With its harmonious balance of refined luxury and warmth, this estate is very much a family refuge in keeping with the gracious style—and life experiences—of the Sorakraikitikuls.